The western Veneto is largely and traditionally planted to native grapes; the vineyards are dominated by Garganega and Corvina Veronese. In central and eastern Veneto, Bordeaux grape varieties are considered to be traditional; they were first planted in the 1830s but took on greater importance after phylloxera struck. Because of phylloxera, native varieties became rare or even disappeared. Merlot stepped into the void. It is now one of the most widely planted red varieties in Veneto and the region has Italy’s largest plantings of the grape. Cabernet Franc, historically planted in more significant numbers, is now eclipsed by Cabernet Sauvignon. Again, with almost 200 years of cultivation, the Bordeaux varieties are considered traditional in central and eastern Veneto. Since the 1970s, Pinot Grigio has become another major presence there as a result of the success of the Santa Margherita label. 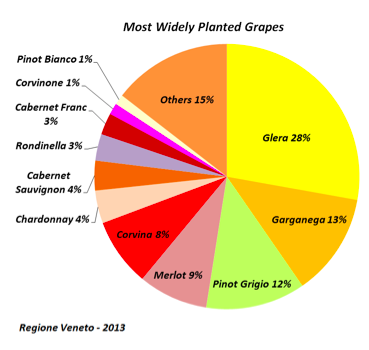 Veneto lays claim to Italy’s largest plantings of this grape. Chardonnay and Pinot Bianco are also widely planted in central and eastern Veneto, followed at some distance by Sauvignon Blanc, Pinot Nero, Carmenère and Malbec (spelled Malbech in Italy). Interestingly, Veneto is home to Italy’s largest plantings of Carmenère and Malbec (the former often being confused with Cabernet Franc in the past). As for local varieties, central and eastern Veneto is planted to Glera (the grape used for the popular Prosecco) and the interesting, but lesser-known Raboso, Vespaiola and Durella. Verduzzo Trevigiano is also widely planted in eastern Veneto. Corvina (or Corvina Veronese): Corvina is the primary (and superior) grape of Valpolicella and Bardolino which are produced in the province of Verona (hence the moniker, Veronese). Although there is little historical evidence, it is generally considered an ancient variety native to Verona. DNA analysis has shown that Corvina is genetically related to Rondinella, Refosco dal Peduncolo Rosso and Marzemino. The variety is late-budding and mid- to late-ripening. Its thick skin makes it suitable for the appassimento vinification technique. Wines are characterized by medium intensity of color, bright acidity, light to moderate tannins and light to medium body. They show typical aromas of sour cherry, violet, aromatic herbs and bitter almonds. Traditionally, Corvina has been used as the principal component in Valpolicella and Bardolino blends, but as of the 1990s, a few producers have made high-quality, barrel-aged, 100% Corvina bottlings of note. Rondinella: Rondinella is a native variety that has been grown for centuries in the province of Verona, although it was not officially documented until the late 19th It is a common secondary blending partner in the wines of Valpolicella and Bardolino. Recent studies have proven Rondinella to be an offspring of Corvina. The variety is easy to grow, resistant to disease, cold and drought, and is adaptable to a variety of soils and growing conditions. It is also very productive. 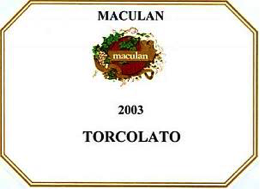 Its resistance to fungal diseases makes it ideal for appassimento vinification. Rondinella provides cherry aromas, is low in tannin and light in body, but lacks the character and elegance of Corvina. Corvinone: This native Veronese grape was traditionally (and mistakenly) considered a clonal mutation of Corvina. However, DNA profiling has revealed that the two varieties are completely distinct and are not even closely related. The name Corvinone (big Corvina) was a reference to its bigger berry size and looser clusters (as compared to Corvina). Corvinone is usually co-planted with Corvina and has been traditionally incorporated into the Valpolicella and Bardolino blends. It provides higher tannins than Corvina and, through the appassimento process, adds structure, body and meaty-savory notes. In the past, Corvinone was not recognized as an official DOC variety. Today it is recognized, but its use is officially limited to a fixed proportion. Its contribution is considered essential by producers and consequently, its use has become widespread. Molinara: Molinara is a native grape whose name is derived from the Italian word mulino (mill); there is a white bloom that covers the berries resembling a dusting of flour. 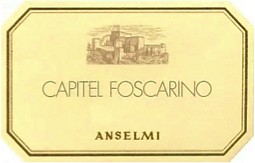 Previously considered a classic component of Valpolicella, it was gradually phased out of mandatory inclusion due to light pigmentation and insufficient character. However, it contributes acidity to the blend and some producers still consider it important for the balance it brings to powerful Amarones. Oseleta: Oseleta is an ancient Veronese grape that was almost extinct by the 1970s due to its low and inconsistent yields. 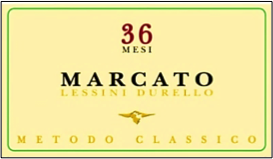 The variety has attracted new interest thanks to the producer Masi, who rediscovered and replanted Oseleta in the 1980s. Small additions of Oseleta can improve the structure of a blend. It is increasingly used in the production of Valpolicella to add color and tannin. Raboso Piave: Raboso Piave is a very tannic and acidic variety. Its historic home is the alluvial plain of the Piave River. Around Padova, the grape is known as Friularo or Friularo di Bagnoli. The name Raboso could be derived from the Italian word rabbioso (angry) due to the harsh character of the wines or from the Piave’s tributary, Raboso. Due to its rough nature, plus the fact that it is difficult to manage in the vineyard and in the winery, it gradually fell out of favor from the 1950s onwards in favor of other grapes like Merlot. However, since the 1980s, there has been a revival of interest from local producers who want to re-establish the ancient reputation of Raboso Piave. Some of these wines may seem tough and austere, especially when young. However, the combination of fully ripe (or slightly overripe) grapes, careful vinification, and adequate ageing time (in both oak and bottle) tames the astringent tannins and high acidity. Grapes may even be air-dried for a few weeks to provide wines with better balance. Raboso wines have deep color and complex aromas of bright berry fruits, violet, tobacco and leather. Raboso Piave has often been confused with Raboso Veronese in the past. Raboso Veronese is a similar but lesser quality grape that, although related to Raboso Piave, is a distinct variety. Although the two grapes are often co-planted, Raboso Piave represents 90% of all Raboso plantings. Other native red varieties: Tai Rosso (biotype of Cannonau), Negrara Veronese, Raboso Veronese, Schiava, Dindarella, Marzemino, Wildbacher, Refosco dal Peduncolo Rosso, Casetta and Enantio. Glera: Glera is the principal grape of Prosecco sparkling wine. Originally the grape was known as Prosecco (more precisely Prosecco Tondo). The variety has an unclear origin and an even more complicated ampelographic history due to the fact that several distinct varieties have been called “Prosecco-something” in northeast Italy since the 18th The grape is late-ripening and prone to both fungal diseases and water stress. It is widely planted in the province of Treviso. Glera is considered a semi-aromatic variety, although when grown on flat land with unrestricted yields, it becomes rather neutral. If planted on south-facing slopes with controlled yields, Glera produces wines with depth and character. The wines are light, soft and refreshing with aromas of white flowers, lemon, pear, apple and peach. Glera Lunga (previously Prosecco Lungo) is a less common grape that although related, is distinct from Glera. In the past, the two grapes were often confused, though Glera Lunga provides spicier, less floral notes than Glera. Glera Lunga is less common and can be used as a minor component (maximum 15%) in the wines of Prosecco. Garganega: Garganega is the primary white grape of western Veneto. It is also one of the most ancient grape varieties in Italy. Although only mentioned in historical documents as of the 13th century, it was cultivated in northeast Italy much earlier than that. DNA profiling has proven that Garganega is identical to Grecanico Dorato from Sicily. (Grecanico Dorato is now considered a biotype of Garganega, even though both grapes continue to be listed as distinct grape varieties in the National Registry). Garganega is late-ripening, vigorous and very productive. When the vine’s vigor is kept under control, its yields restricted, and its grapes harvested at optimal ripeness and maturity, the semi-aromatic nature of Garganega shines through. The grape can produce wines with steely acidity marked by aromas of white flowers, citrus, ripe yellow fruit, almonds and mineral. The grape can also be used to produce passito wines through the appassimento technique. Garganega played a central part in the ampelographic evolution of many Italian grape varieties. It is, in fact, related to Trebbiano Toscano, Albana, Marzemina Bianca, Catarratto and Malvasia Bianca di Candia, among others. Vespaiola: Vespaiola is an ancient variety native to (and exclusively grown in) the province of Vicenza. Its name refers to the wasps (vespe) that are attracted to these sweet grapes. The variety is vigorous and known for its high acidity, subtle floral character, and flavors of citrus and green apple. Although made into dry wines, Vespaiola is better-known for producing sweet passitos, where the intense sweetness and rich honeyed texture is balanced by its vibrant acidity. Manzoni Bianco: Manzoni Bianco represents the most successful and potentially highest-quality Italian vinifera cross. It was originally named Incrocio Manzoni 6.0.13 by Luigi Manzoni, a professor at the Enological School of Conegliano. Created in the 1930s, Manzoni Bianco was long thought to be a Riesling x Pinot Bianco cross, however, recent studies have suggested that it may actually be a cross between Riesling and Chardonnay. For now, there is no definitive answer. A new interest in this variety has resulted in an increase in plantings. It is often used in white blends to add acidity and a light, spicy note. Varietal or Manzoni Bianco-based wines are crisp, lightly aromatic, mineral and spicy with aromas of white flowers, apples, pears and stone fruit. Durella: Durella is native to Monti Lessini. Its name is derived from the Italian word meaning “hard” (duro), perhaps due the grape’s thick skin or to the sharp and tart nature of its wines. Its high acidity makes it quite suitable for sparkling wines. The wine it crafts is racy, light-bodied and moderate in alcohol with aromas of white flowers, fresh citrus, apples and pears, coupled with a signature note of mineral and/or gunflint. Verduzzo Trevigiano: Trevigiano is the most common variety of Verduzzo found in the Veneto. Most plantings are found in the eastern provinces of Treviso and Venice. The variety is both hardy and vigorous and crafts simple, light, crisp whites. 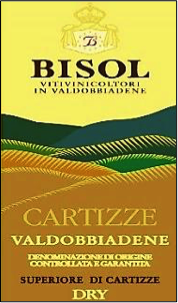 It can be crafted into varietal wine or blended with a proportion of Verduzzo Friulano, which is a distinct, non-related, and higher quality variety found mostly in Friuli Venezia Giulia. Other white varieties: Trebbiano di Soave (Turbiana), Pinella, Bianchetta Trevigiana, Moscato Giallo, Moscato Bianco, Trebbiano di Toscana, Perera, Verdiso, Tai (Friulano), Cortese, Glera Lunga and Verduzzo Friulano. : Need-to-know icons represent the need-to-know information for the exam with regard to grapes and DOC/Gs.